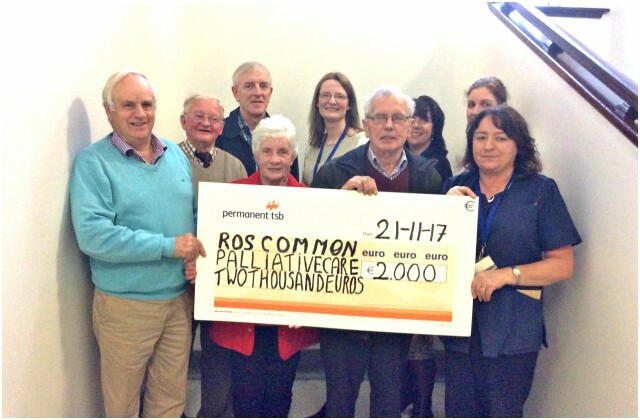 Mr. Vincent Pierce on behalf of St. Dominic's GAA club, Knockcroghery today presented a cheque of €2,000 to Palliative Care Services, Roscommon University Hospital (RUH). The monies raised were from the Alan Gately Memorial Tournament from the club's annual Hurling and Camogie blitz. 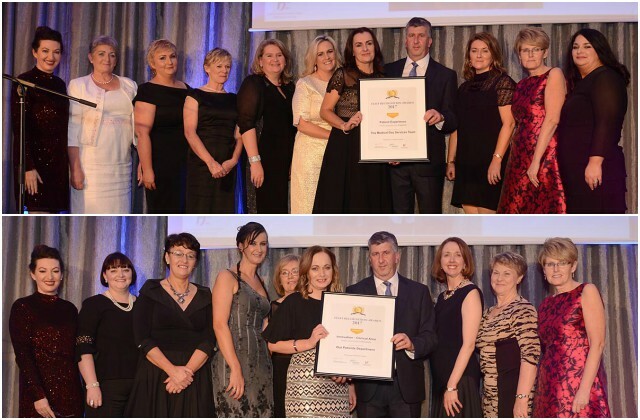 The 3rd Saolta University Health Care Group Staff Recognition Awards took place recently in the Ardilaun Hotel Galway and Roscommon University Hospital was shortlisted for awards in two categories. Over 145 projects or initiatives from services and departments across all of the hospitals in the Saolta Group were nominated in seven different categories. Winners were presented with their awards by Saolta Group CEO Maurice Power and Group Director of Nursing and Midwifery Jean Kelly. 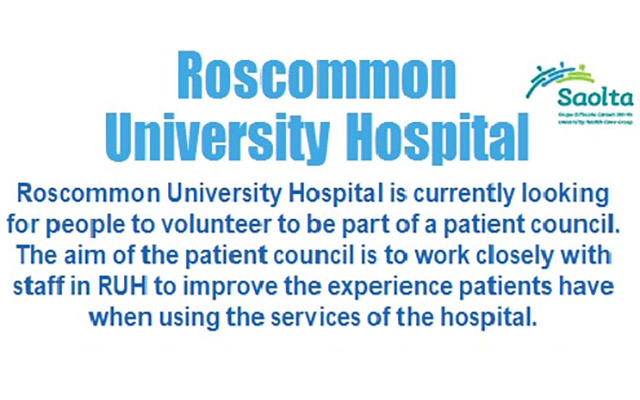 Roscommon University Hospital is currently looking for people to volunteer to be part of a patient council. The aim of the patient council is to work closely with staff in RUH to improve the experience patients have when using the services of the hospital. 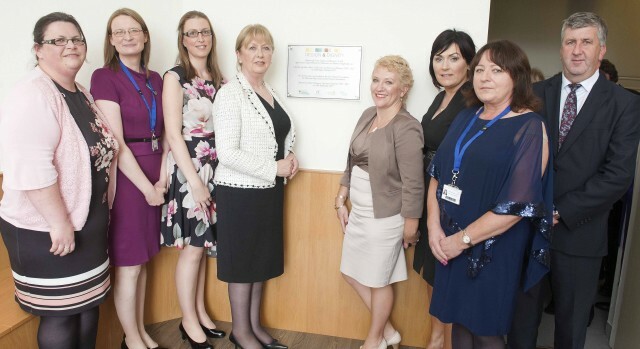 Former President of Ireland, Professor Mary McAleese visited Roscommon University Hospital yesterday, Monday, 25 September to officially open the Design and Dignity Family Room and Refurbished Mortuary Viewing Room. 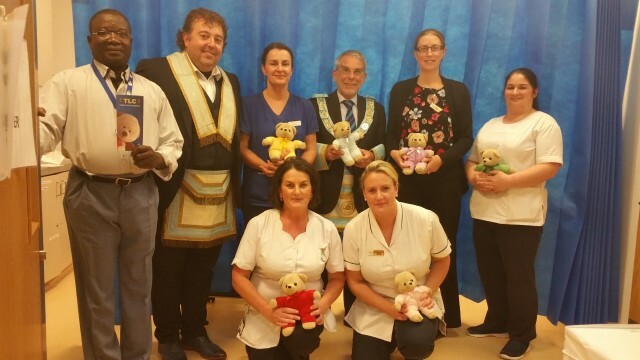 Franco Magliocco of Lodge 248 Roscommon and Nigel Foley-Fisher, Provincial Grand Master-South Connaught (Freemasons of Ireland) donating teddies to the Urgent Care Centre, Roscommon University Hospital for staff to give to children who are anxious about being in hospital.